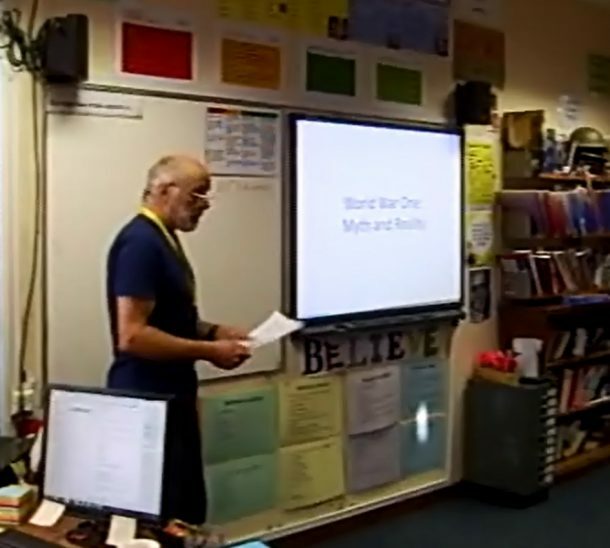 In light of the centenary of World War One, Kevin Eady, a member of the Tavistock Peace Action Group, was invited into the College to talk to Year 9 students about World War One. His lecture was titled: World War One, Myth and Reality. As a self-confessed anarchist, Kevin gave an interesting interpretation of the causes and consequences of World War One. He especially focussed on the role of conscientious objectors towards the war and the anti-war sentiment that existed in Europe and around the World. The students listened intently and were keen to discuss and debate the issues raised.